just a step away. Over, over. on the moment, the angles between us. Previously published in Red Wheelbarrow Literary Magazine, National Edition (2017, Vol. 18 Iss. 22). 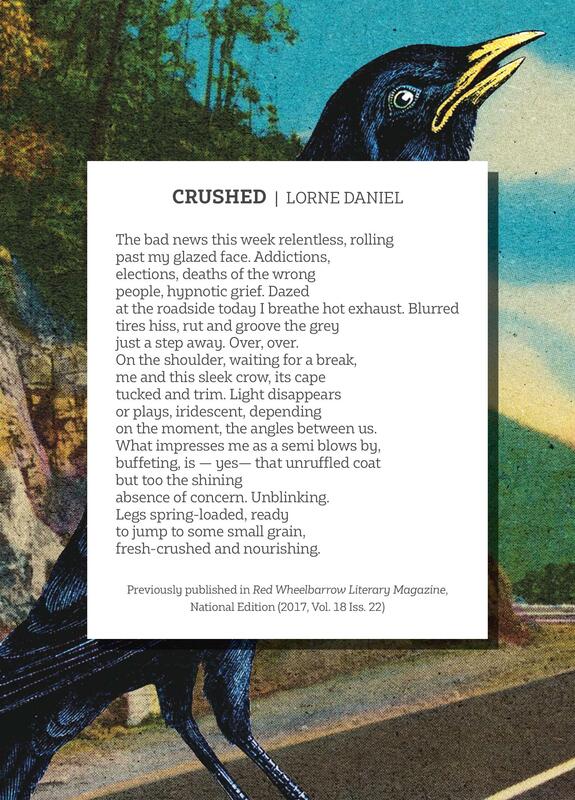 Lorne Daniel recently returned to poetry after many years away. He has published three books of poetry and his work has been included in anthologies and periodicals across Canada, the U.S. and the U.K.. He lives in Victoria, BC. Find Lorne on Instagram at @lorne_daniel.